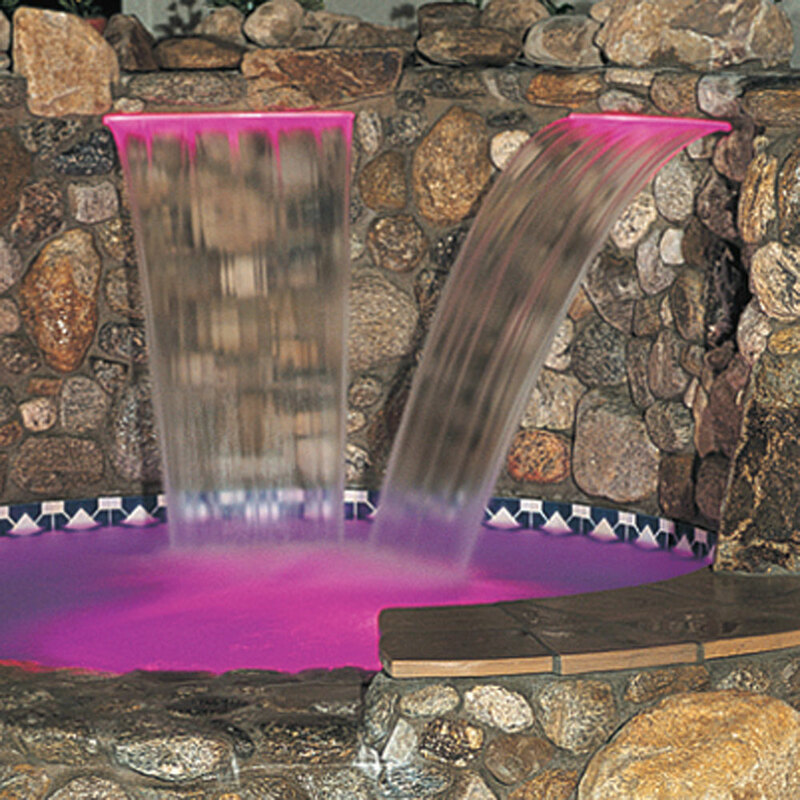 Add the soothing sound and color only a FiberFall waterfall feature can provide. 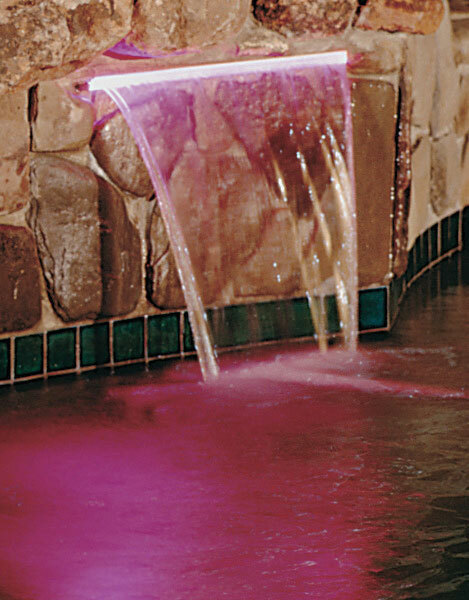 Add the soothing sound and color only a FiberFall waterfall feature can provide. Pre-installed fiber-optic cable creates a color-lighted waterfall for your pool or spa that is as beautiful as it is relaxing. The FiberFall is designed for easy installation and years of dependable enjoyment. With its patented X-Baffle™ brand turbulence suppressor, the FiberFall provides unsurpassed reliability with consistent, even water flow. Important Note: Requires fiber optic light source from a third party manufacturer. Zodiac does not recommend fiber longer than 15' from the light driver. Fall cannot be cut in the field. Radius must be factory cut. Top of the fall and the acrylic lip, should never be exposed.